My computer fans speed up and Mac starts to heat up. 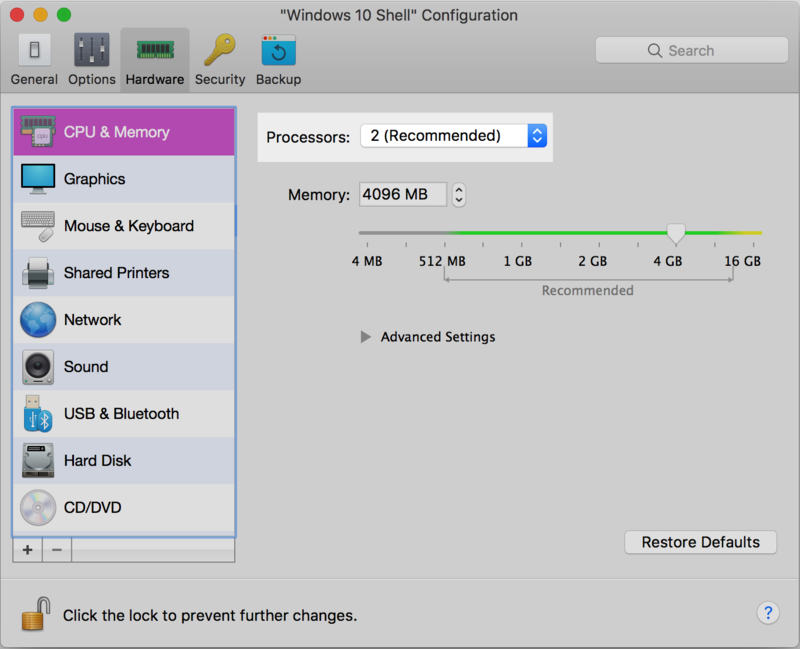 My virtual machine's process (prl_vm_app or Parallels VM) in the Activity Monitor consumes 100% of Mac CPU or above. High CPU usage by virtual machine's operating system. Maximum utilization of every CPU unit assigned to a virtual machine in Activity Monitor counts as 100%. For example, if your virtual machine has 4 CPU units assigned, then a total amount of CPU utilization by a VM will be 400%. To check how many CPU units are assigned to VM open configuration window > Hardware > CPU & Memory. NOTE: We highly recommend using the recommended number of CPUs. Assigning more recommended number may cause performance degradation of both Mac and virtual machine. Once you determined what process of Windows program consumes sufficient amount of CPU, you may refer to the software manufacturer knowledge base to find more information. For some types of software, like video or photo editing, CAD or videogames, high CPU usage is a common operation condition. 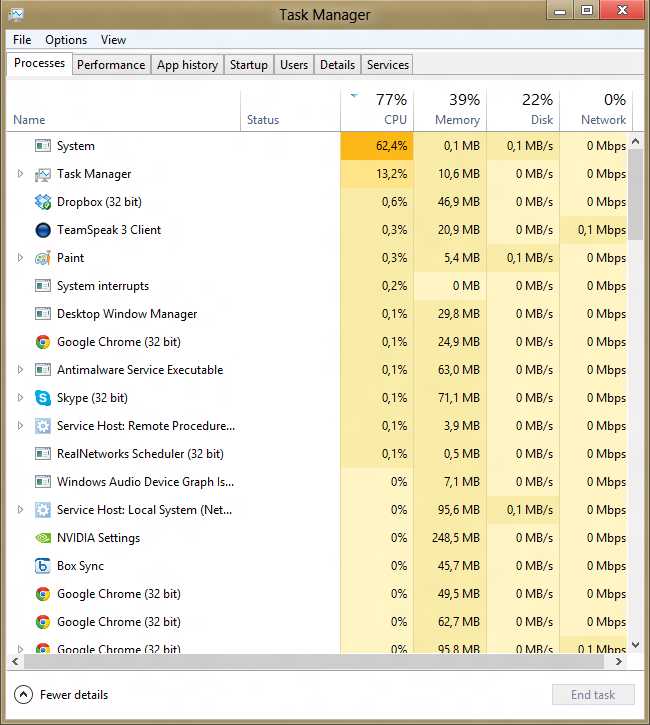 To find out the reason for high CPU usage in your case, note the process name and refer to Microsoft Support or a third-party resources for more information.